If you’re a fan of all things beauty or have recently walked down the beauty tools aisle in Boots, you would have noticed that the gorgeous Pixiwoo girls have released some new miracle sponges as part of their collection. Regular readers to StephiSays, will know I’m already a massive fan of their Miracle Complexion Sponge (the orange one! ), so when I knew they were bringing out three new types of sponges, I got really excited! Added to their Real Techniques collection now is; the Diamond Sponge (as part of the bold metal range), mini easer sponges and a sculpting sponge. The first new sponge I wanted to try was the Sculpting Sponge because I liked the unusual shape with different sides and edges to do different jobs in applying my make-up. This little pink sponge claims to be one tool with 6 uses; a large rounded side to blend, a large flat edge to apply contour, small flat edge to apply highlight, a small rounded side to also blend along with a large and small tip for different areas of your face. And I love it! It really does have the perfect shapes and edges to reach those hard to reach places. I love it mainly for blending in my concealer under my eyes and around my nose, but I’ve also tested in applying cream contour too and it’s great! A word of warning however, is just be careful when washing this sponge. Due to the unusual shape, it’s quite weak in the middle/thinnest part of the sponge. I usually wash my makeup blenders with baby shampoo under running water and whilst I was in a rush I did accidently tear my sponge. Just something to be aware of, because I’m already on my second sculpting sponge. But yes, it’s that good that I repurchase another one after my little accident. I just can’t wait to try the rest of the new sponges! 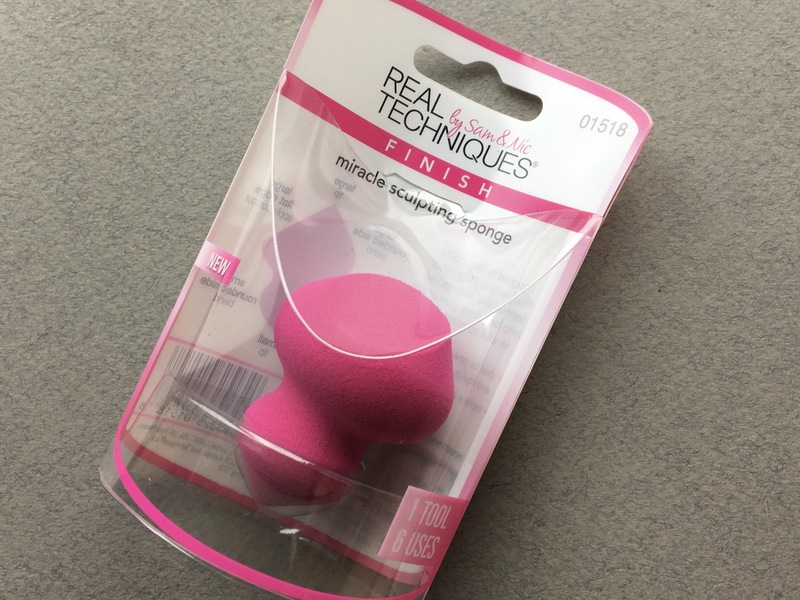 Have you tried the new Real Techniques Miracle Sculpting Sponge? Have you tried any of the other new miracle sponges? I really love using beauty blenders during my make up routine and generally use them in two ways. First way, is using them to apply my foundation. I will usual dot the foundation over my face using my fingers and use the sponge to blend into the skin. Or the other way I use them is, once I’ve applied my foundation with a make up brush or my hands, I will then use the blender to bounce over my skin to give a more flawless complexions do balance out any excess product. It’s a step I wouldn’t be without in my routine now in my make up routine as it makes my foundation look amazing and I also think it also helps buffs the foundation (and concealer!) into the skin more making it last longer throughout the day. Real Techniques Miracle Complexion Sponge – As I mentioned above, the Real Techniques Miracle Complexion Sponge was my first experience of using a type of beauty blender/sponge. I’ve since had one of their sponges in my make up bag for well over a year now and couldn’t be without this little orange baby! First of all the shape is awesome, all the sides, edges and corners are perfect for fitting into the contour of your face and I also find the sponge is the perfect density. It’s soft enough to buff the product into your face but dense enough to be able to bounce all over the skin with ease. It also washes really nicely too. I tend to wash mine once a week (sometimes once a fortnight when I’m being lazy) just with water and baby shampoo, and it never loses it shape! I’ll admit eventually after a long while, I have had to replace it that only because I’ve even lost it or I’ve had a chunk come out of the sponge because I’ve caught it in a zip (opps!) but other than that no problems at all! Kiki Make Up Blender – You might recognise this beauty sponge from a Kiko haul I did a while back (LINK here). At only £6.90, I was intrigue to see if it was as good as the Real Technique’s sponge. The first difference you will see between the sponges is the shape. The Kiko Make Up Blender is more of a curvy (I kinda think it looks like mini fat snowman…just me?) and to be honest I couldn’t get on with the shape at first. There is a point to get to the eyes or nose and a rounded edge to bounce over the skin however I just feel the edges aren’t sharp enough to get into the difficult spaces (right in the corner of the eyes, etc). I also found this sponge harder than the Real Techniques Sponge which did feel a bit uncomfortable when bouncing it over my skin. Considering the Kiko Blender is a slightly higher price to the Real Technique’s sponge (£5.99), I would say opt for Real Techniques. Primark Beauty Sponges – These came in a pack of two for £1.50, so I had to pick these up and give them a go as well! 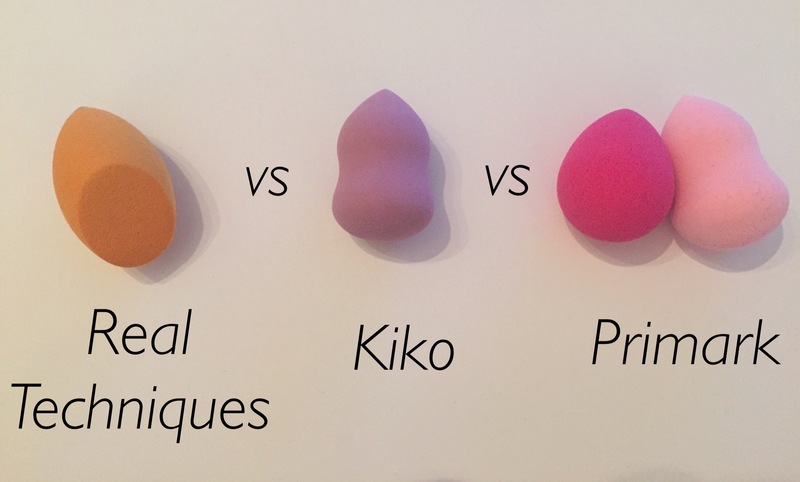 One sponge is a similar shape to the Kiko blender and the other sponge more of an egg shape similar to the original beauty blender. 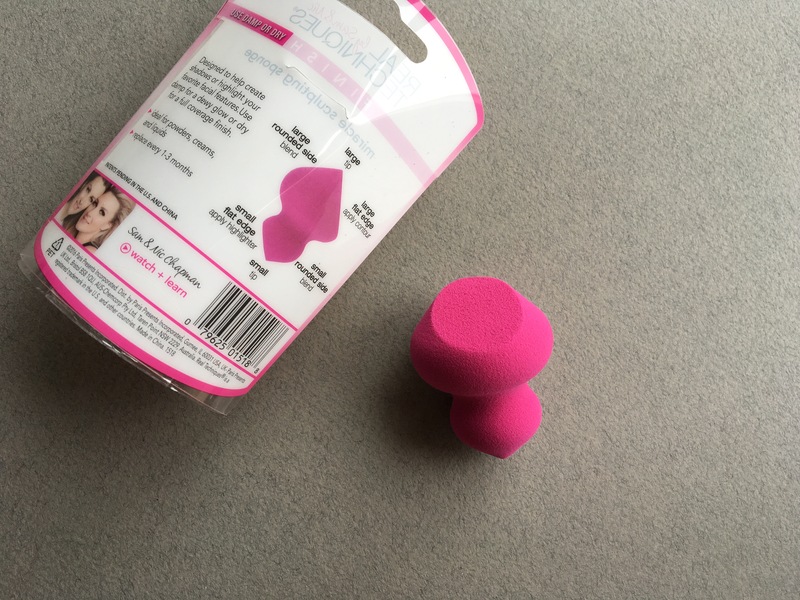 For the price, I knew these wouldn’t be as great as the Real Technique Miracle sponge but I would recommend these if you have never tried a beauty blender/sponge before. I did find these soaked in a lot of product when I used these to apply my foundation, so maybe avoid using them for that purpose however just for bouncing over my skin after applying foundation to make your skin more flawless – they did the job! Density wise, these are still a little hard in comparison to the Real Technique sponge but considering the costs of these, you can’t really complain! With festival and holidays season fast approaching, I would definitely recommend picking up a couple of packs of these to throw in your suitcase because at £1.50 it doesn’t matter if you lose or damage them. So the clear winner here is definitely The Real Techniques Miracle Sponge! And although nothing will probably be able to part me from my Real Techniques Miracle Sponge, I did enjoying testing other blenders on the market and I am now tempted to give the original BeautyBlender a test – so there might be a Battle of the Beauty Blender part 2 coming soon! Have you tried any of these beauty blenders/sponges? What did you think? Do you have any beauty blender recommendations?